Are you interested to build an online business, but don’t know which platform to use? Well, with SiteRubix, creating a WordPress website or a blog isn’t only free; it’s super easy and fun. Without any installation or downloads, your site can be up and running within minutes. Here’s how it works. How To Create a Free WordPress Website? SiteRubix uses the open-source WordPress software to build websites and the entire process can be operated right on the browser. Here are 4 simple steps to get started. If you are starting from scratch, select the ‘free SiteRubix website’ option. You can name anything that you want for your website, as long as they are available and represent your niche idea. Themes are design layouts that give your website structure and visual appeal. In SiteRubix, there are thousands of free themes to choose from. With just a single click, your site will go live. Following that, a secured password will be generated to allow you to login to your WordPress site. The reset button here is meant for security purposes and it is useful when you forgot your passwords or when someone tries to hack into your website. Often times, when people built websites, they don’t really know how to monitor for performance or traffic. Well, SiteRubix has a built-in feature called SiteManager to help overcome this problem. This feature will monitor your website and highlight the areas that need improvement. The example below is a snapshot of the ‘health status’ of my website. Let’s find what it is all about. Running my website on the latest version of WordPress will keep all the system updated. My website is being monitored for online safety against malware and hacking, so that’s reassuring. The more pages and posts I publish, the more content I am creating for my website. The more comments I get, the more engaging my website becomes. Getting indexed on Google will improve on my website visibility. My ‘Site Health Is Good” based on the following indicators. As you can see, my website is pretty optimized for the most part, except that I need to improve on my ‘Publishing Frequency’. So now I know that I will need to put more effort in getting more content out there. What If a Website Has a ‘Poor Health’? It could happen, if you just starting out. However, that doesn’t mean that you’ll be stuck there forever. Each of the indicators is closely linked to some of the online training provided by Wealthy Affiliate University to help you improve on your website’s health. Create good quality content that provides useful information for your targeted audience. Manage the numbers of WordPress plugins on your site to keep it optimized. Improve on website SEO to achieve better Google ranking. 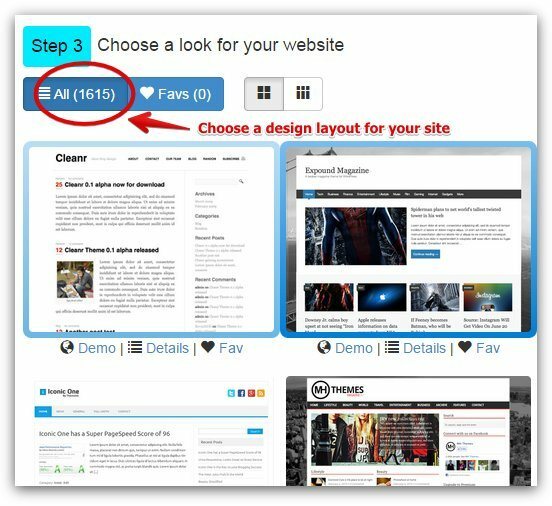 Get feedback from the community on how to improve the appearance of your website. Provide good quality and relevant comments on other people’s blog so that they can do the same on yours. Here’s what SiteComments look like. SiteComments is one of my favorite tool because it gives my blog a lot of engagement which adds more value to the content that I’ve already created. As you can see, I am also one of the top contributors in that forum. The proprietorship of the sub-domain website belongs to SiteRubix, not you (unless you build it on a custom domain). Website email address will not be provided. You can only register for TWO free websites. No access to File Transfer Protocol (FTP) in the event if you need to transfer files from your computer to the website server. If you like to build your website on a custom domain, you just need to register a name at SiteDomain. This will save you a lot of time than having to go to a separate domain registrar. To host a custom domain and gain full access to other features on SiteRubix, you’ll need to sign up as a Premium member at Wealthy Affiliate University. The “Site Health” feature is a helpful indicator to guide website owners on how to go about fixing their site problems. Websites built on SiteRubix do very well with SEO. Unlike other sub-domain companies, the free SiteRubix don’t restrict monetization activities on your website. So, Is SiteRubix Worthy of Your Time? Overall, SiteRubix is not your ordinary hosting and publishing platform. I’ve never seen any service that can get a WordPress website up and running within seconds. Allowing someone to create a website so easily certainly eliminates the technical hurdles and for me, that’s a great time saver for a lot of beginners. Moreover, so many people can benefit from having a free WordPress website. College students who want to start affiliate marketing business for free. Anyone who is new to WordPress and wants to learn more about it. People who are curious about starting an online business. Experienced online marketers who want to use SiteRubix as a test site to experiment with different WordPress themes and plugins before launching on an actual site. Projects looking to get funds online. So, if you need any help with setting up your site, just get in touch with me and I’ll walk you through the process step-by-step. Do you have something exciting that you want to launch into a website? Simply type in your domain name below to get access into SiteRubix immediately. Have any questions or thoughts about creating a WordPress website with SiteRubix? Please leave them in the comment area below and I’ll get back to you. Hey Cathy, it’s nice to know that we live in a time where financial freedom is attainable. All you need is a computer and some time right? Building a website seems pretty simple the way you pit it. And this program Wealthy Affiliate also seems legit. I know some platforms that create websites are difficult to use, but the SiteRubix is one of the easiest I have encountered. I would recommend that to any newbies. Great article. But, I was wondering. What plugins would you recommend using? Also, have you experienced any issues with SiteRubix? Hi Josh, my site has been hosted by SiteRubix for 2 plus years now. Not much problem so far. These are the plugins that I would recommend for beginners, but it’s definitely not limited to this selection. Most people have their own preferences so it’s the matter of finding out what works for your site. Can I install ssl on free website? Unfortunately no. In order to get the SSL certificate, you have to have a custom domain hosted at Wealthy Affiliate. Hope this helps. Actually, it is now possible. SiteRubix now offers free SSL installation. Thank you for sharing the information on creating a WordPress site. I use WordPress myself. You mentioned that your publishing frequency could be improved for the site that you created. How often would you recommend that people post to their sites to receive the optimal placing in search engines? Hey there, I would recommend posting 3-4 times per week. Reason being, the more you publish, the more keywords you’ll be indexed for and hence, gain more (higher) ranking as a result. The effect is not immediate, but it does accumulate over time. For an undisputed fact today in 2016 it is many, many times easier to create a great looking WordPress website for yourself as a business owner compared to a decade or so ago. Back then, you had to have a background in programming, coding, web design, etc. in order to be able to create anything regarding a website. Now as you illustrated in a step-by-step manner in the article, creating a professionally looking website can really be accomplished by a pre-teen 11 year-old kid. Therefore any adult should not become stressed out before attempting to design his/her first website for a business. And for everyone who attempts this chore, it doesn’t take hours to complete either – something which definitely would have been the case in creating websites back in circa 2003. As you also illustrated, Wealthy Affiliate has available the best set of tools – including SiteRubix for building a new website. The company is simply the best of its type in all that it offers – education in marketing, tools and community support to allow a person, even on his/her first attempt to slowly build a successful online business. Any other company pales in comparison! Hello there! Thanks for the great information about Siterubix/Wordpress! I have created my own website through this vehicle, and so far I am happy with its progress, but could use a few pointers along the way. What kind of issues have you come up against while installing plugins? I’d like to avoid those if I could, please. I used to be a big fan of installing ‘shinny’ plugins, you know, those that promise to make your site perform better. Well, I didn’t see a significant improvement but fortunately, none of those plugins crashed my site. There was one occasion whereby I couldn’t log into WordPress. Had to contact SiteRubix support. They responded quickly, deactivated one suspicious plugin and I was in again. I am still using that plugin, but haven’t had any trouble so far. I am only using three plugins now – All in One SEO, Contact form 7 and Simple 301 Redirects. I might add more in the future, but for now, these are good enough. WOW thanks for information, I was just about to buy some domain space and hosting. Now I will be looking into Site Rubix more. Could you direct me to any more information on how to go about building a website correctly. I am really lacking in knowledge about getting ranked in the search engines. Sure Alan. Here are a few articles to help you out. Hope they are what you are searching for. Nice post! You’ve given such a complete and detailed review of the SiteRubix platform. I am thinking of creating a website using this platform. Do you think I should get a premium domain name? If so, is buying the domain name thru SiteRubix a better option than say Namecheap or Godaddy? 1) If you are planning to start an online business, I would definitely go for a custom domain name with extensions like .com, .org or .net. It’s easier to remember. 2) My domain is currently with Namecheap and they do provide a good quality service. But I am planning to move over to SiteDomains early next year because they offer more comprehensive features for one price tag. Wonderful post! You have given me as a reader an overall view of SiteRubix with its benefits and features. Moreover, I learn a few things from your article like the publishing frequency. Something that I should put more work into. The publishing frequency basically shows you how much content that you are adding to your site and I noticed that 3-4 entries per week can really boost your traffic. As a beginner, you can always start with 1 post per week and gradually ramp up your writing when you get used to the blogging routine. I created both of my websites using SiteRubix and I couldn’t imagine it being any easier than this! The whole process is extremely straight forward and perfect for beginners to website building. I am so proud of the website that I have been building on the SiteRubix platform. SiteRubix is pre-installed with WordPress so that really takes the techie stuff out of the way; other hosting platforms require you to download the software. Besides that, once you start using it, you’ll find that they work a whole lot better than the typical drag-&-drop website builders that only look good on the outside but offer very limited functions on the inside. Firstly, this page looks great and it makes me want to create a website that looks something like this. But I agree, SiteRubix is what got me started and I would recommend it to everyone I know. Is this your first SiteRubix website by the way? That’s the beauty of using WordPress. There are a variety of themes, free and paid, that can help you build fantastic looking website that’s targeted to your audience. Easy installation and easy to edit too. Time Freedom is my first site built on SiteRubix and I plan to add more niches as my online business expand. True that! SiteRubix makes it so quick and easy a child could do it! Says to prove if you don’t have a website these days, you are BEHIND! Now I’ve always used the WA integrated SiteRubix, how does this and the actual site itself differ? Is it everything minus the training and community? 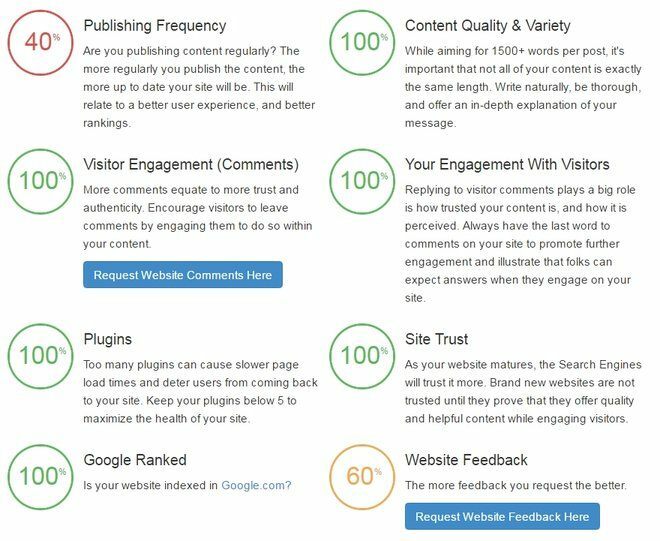 Unlike other self-hosted WordPress, SiteRubix actually has a blog engagement and improvisation feature that can help to improve the quality of one’s site. When people visit and leave comments on your blog, it adds content to your preexisting article, provide resources for internal links and offer readers a better understanding of your topic. Of course, the platform also gives you access to the online entrepreneurship and affiliate marketing training by Wealthy Affiliate, which is one of the most powerful program for anyone looking to build a successful web business. I created my first website using SiteRubix and I can say that the far it has brought me is amazing. I did not know anything about creating a website but the help I got from Wealthy Affiliate community was overwhelming. Siterubix is the best. Am still building my website and as it is going, a few months down the line is going to me amazing for me. I am glad that you are progressing well with the training at Wealthy Affiliate and reaching out to the community to help with your learning. If you need anything else moving forward, please do not hesitate to get in touch with me within WA. It’s interesting that some people think that creating a website is difficult. With your instructions, it’s ultimately easy! I like your step-by-step approach. And you’re right when you explain that creating a website doesn’t end with the construction. It’s only a start of an online business journey. Thank you for your tips! To build a successful online business, you need more than just a website. You need to have a good understanding about keyword research and how to use that to create content that represents your product that people can search online. So I would actually advice beginners to keep the website building process simple at the initial stage because you don’t know how things might change when the content starts to take shape. That’s why the main training in Wealthy Affiliate focuses so much on content creation over website designing. Thanks for providing such a great information about siterubix. Cathy, I have some doubts in my mind, would you help me. What is the difference between WordPress and siterubix? Does Siterubix is only associated with Wealthy Affiliate? I shall be very obliged if you help me. Thanks again. 1) WordPress is a publishing platform software that you use to create and publish articles. SiteRubix is a hosting platform that comes pre-built with WordPress, which means you don’t have to download any software. Unlike other hosting services, they don’t only offer technical support but also provide a website feedback, website health monitoring and a blog commenting system. 2) The creators of start their online business easily design SiteRubix features as a training tool for beginners to start their online business easily. Hence, whenever your site is hosted here, you can get access to the training at anytime and engage with the community to build more traffic to your business. Great post, I like Siterubix so much it keeps me following up my website through the site health meter, but I have one question in the site health there is plugin area which is recommended not to install more than 5 plugin which is difficult because there are some important plugins I can’t get rid of them. Will this affect my website? Up until last week, I have got 14 plugins on my site and it didn’t seem to affect my page load (I could be wrong). However, I would really like to see more traffic to my site and was wondering if reducing the amount of plugin would help with that. So I actually replaced some of them using HTML and CSS – crazy stuff I know, but it works perfect. I also went and deleted some ‘shinny’ plugins, meaning they are nice to have, but not important at this point of my website development. Traffic is doing good so far. I know yours is a photography site and probably use very different plugins than mine. So if you like some help, just send me a private message at Wealthy Affiliate and we’ll see what we can work out. Hello and very informative. I’ve been thinking about website design for a few months now. Specifically, I was wondering about the pros and cons about a SiteRubix domain name. I’ve heard there are negatives regarding domain branding when you have a “mysite.siterubix ” url. Is that true? Thanks again, I will be looking over your other articles later today to soak up all the great info! That’s a great question Christian. If you are new to your niche, I think it’s an advantage to use a subdomain first. Very often, I see people switching to a different niche, which usually requires an entirely new domain name, because their original ones is either too difficult to proceed or they simply found a better alternative. In such cases, you wouldn’t loose a lot of money because subdomains are free to begin with. You probably have to rewrite a new content, but that’s not a big deal. On the other hand, if you are really keen in turning the idea into a real online business, then I would highly recommend that you move your website to a custom domain name as it has more advantages in terms of building reader’s trust and business branding. You have done an excellent drop introducing SiteRubix to anyone who is interested. I mean even if you have never created a website before this is the place that I would start. In addition, what are even better you get started with SiteRubix free then you get introduced to this great community of people and knowledge from Wealthy Affiliate, even the owners Kyle and Carson get involved. I cannot think of any other community that gets this involved with its community of online business beginners or people want to make their business better. On the outside, SiteRubix may appear like a regular website builder but the awesomeness comes when you see how it’s being used to boost comment engagement for people who are new to blogging. I find this important because it makes readers realized that there are real people behind every blog that’s trying their best to share valuable information online. Our comments thus reflect our understanding (and to some extend, appreciation) for their hard work in creating good quality content. We are used to seeing spams in other people’s blog, but by using SiteComment, you won’t have those kind of crap. As a user of SiteRubix, I have to say your post is pretty much spot on. Sometimes I am still surprise how can such a good program be found. 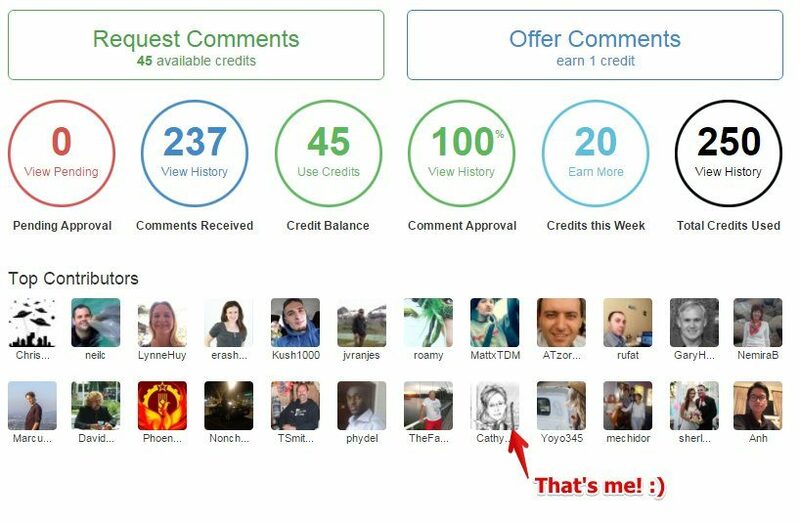 What I like the most about SiteRubix aside from the fact that it comes bundled with great lessons to build an online business is the SiteComments that allows you to give and receive great comments from your peers. Thanks for pointing that out, Anh. 1) Building a website within self-hosted WordPress. 2) Learning how to improve website traffic and ranking for online business. The latter is very important because there’s really no point to creating a site if it can’t be found by the search engine and your targeted audience. SiteComments, as you mentioned is such a powerful element to get websites to rank and I think beginners need to do more blog commenting once their sites are indexed. An excellent review of SiteRubix. It’s with SiteRubix that I first tried WordPress and I was pleasantly surprised at how easy it was. The best thing is that you are guided step by step with the lessons in Wealthy Affiliate. My advice to anyone who is hesitating about creating a website would be to fill in form above and get going. After all it’s free! SiteRubix is also my first experience using WordPress. Although it’s not the drag-and-drop kind of website builder which many claims to be a whole lot easier, I don’t find WordPress all that technical to handle. Even if I do, I know I can always get someone to help me out at Wealthy Affiliate. This is review is tops. And right on the money. Wealthy Affiliate is where I started too. I joined in July 2013 and it is easily the best online decision I ever made. With the training tools and support I have built my own website. And most important it now provides me with a full time online income. As a user of SiteRubix websites for testing, I can say that it will function just like any other site on the internet. It will get traffic if you post and maintain it. I use mine to test things before they go live on my regular site. I use my free SiteRubix to test out plugins too before I install them on my original website. It helps me to avoid any sort of technical clashes.